Fresh fruits and vegetables are packed with vitamins, minerals and anti-oxidants. The color and taste of fresh fruits and vegetables stimulates our senses while they offer us unique nutritional properties that help us stay healthy. 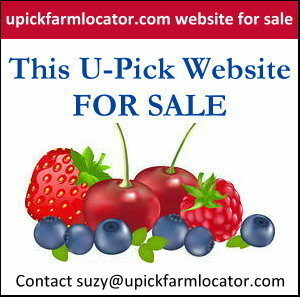 Our expertise here are U-Pick Farm Locator is leading you to local u-pick farms that offer a variety of fresh fruits and vegetables. We focus on helping you discover farms on back country roads that you never knew were there and expand your opportunity to eat locally grown foods. We also want to provide resources for all of us to become more educated on the health benefits and nutritional value of these fruits and vegetables. There are some excellent websites out there on the internet with detailed information on the most common fruits, vegetables, nuts & seeds, herbs and spices. Listed below are some of our favorite resources for learning more about the health benefits of these foods. Don’t see your favorite farm? Send us an email and we will update our list.